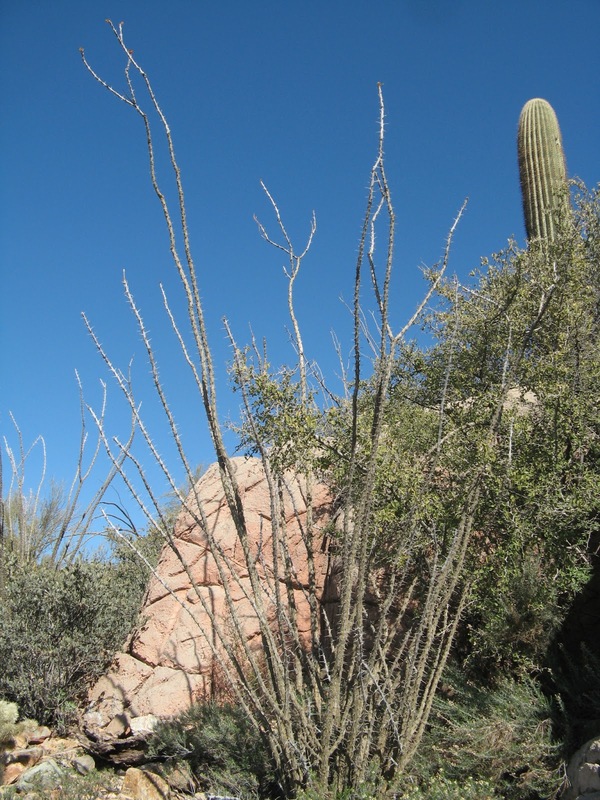 While Wayne and I were visiting Tucson, we used one of the sunny says to drive up to the Saguaro National Park West and Tucson Mountain Park. 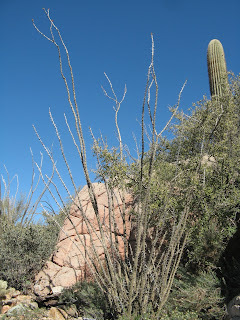 While we were there, we stopped at the Arizona-Sonora Desert Museum. The entrance fee isn't cheap, but the natural displays are well done and very informative. The trails are a mixture of paved walkways and well-pack desert gravel. The terrain is mostly level, and ramadas made with natural desert materials give shaded rest spots along the way. Different desert habitats are depicted including the desert, mountain woodlands, desert grasslands, and pollination gardens. Displays include typical desert animals including mountain lions, bears, wolves, coyotes, squirrels, prairie dogs, javelinas, lots of birds, and other creatures great and small. We hAd the same feelings about the museum. Spent a couple winters in Tucson, which we loved, but one visit to the museum was enough. Hiked a lot in the two parts of the NP tho and loved that.